MOTHER’S DAY COLLECTION AVAILABLE FOR A LIMITED TIME! Available while supplies last. These items are expected to sell out quickly. Limit 4 per wholesale account. I purchased all 4 sets for myself and for Mother’s Day gifts. You can also just purchase the Citrus Bloom Springtime blend individually – Citrus Bloom is a blend of Wild Orange, Grapefruit, Roman Chamomile, Magnolia, and Lavender. I am going to make it my new pure-fume — Free of synthetic junk and its uplifting/calming at the same time! Message us for more info on this blend! For ANY Standard one time or LRP rewards order of 200PV this month – you will get a FREE bottle of the Deep Blue Soothing blend oil for making rollerballs and a bottle of the Deep Blue lotion rub. Perfect for applying to sore joints and muscles after a workout or when feeling tension. $65 wholesale value for FREE! Now ends 4/15/19! 125PV LRP Rewards Free Product! You will get a FREE Breathe Respiratory blend touch roller with your 125PV LRP order placed before 4/15/19. Breathe is perfect to support respiratory health due to congestion or allergies. You can also get a bottle of Triease Seasonal allergy softgels at a discount this month. Perfect for this time of year as everything is blooming! This gentle, natural deodorant features doTERRA CPTG® essential oils Douglas Fir and Greek Orange, combined with magnesium to actively protect against odor while tapioca absorbs moisture for long-lasting freshness. The sweet, refreshing aroma of Douglas Fir and Greek Orange promotes a positive, energetic mood to help you focus on your day. Welcome doTERRA® Ginger Digestive Drops! The sweet and spicy flavor of Ginger is blended with a splash of Lemon essential oil to boost the benefits and flavor profile of the lozenge. When occasional moments of nausea associated with motion arise, the properties of the Ginger drop promote healthy digestion and help ease occasional stomach discomfort and indigestion. I would have loved these when I was newly pregnant and all the nausea that comes with that! Perfect for road trips as well! The moment all the yogis have been waiting for has arrived! The Anchor, Align, and Arise blends from the doTERRA® Yoga Collection are now available for individual purchase. Here is one option to maximize your savings and get the free Deep Blue set (see photo below)….if you are looking for something different…. click here to see other options on getting started. 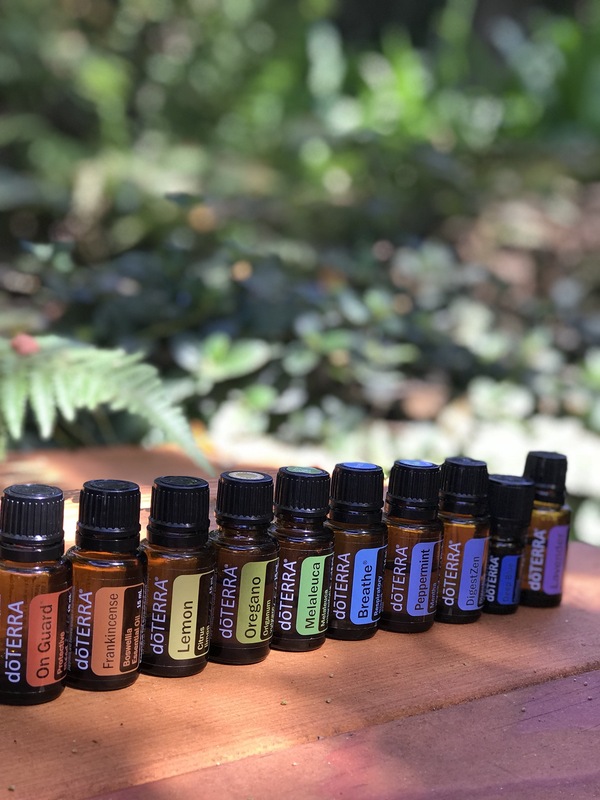 Click here to see more options – or if you are ready to go with a kit or just picking out a handful of oils… Click this link for the Wholesale Membership Step By Step guide. Pingback: WELLNESS DELIVERED TO YOUR DOOR! LRP Rewards info!